Zoe Ball moved viewers to tears as she detailed the last time she saw her late boyfriend Billy Yates. 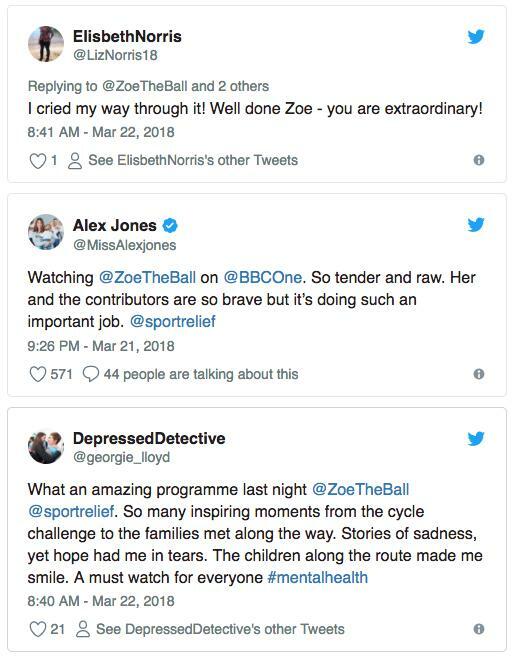 The presenter featured in a documentary ‘Zoe Ball’s Hardest Way Home’ on Wednesday (21 March), which followed her 350 mile Sport Relief cycle from Blackpool to Brighton that she had done in his memory. During the show, Zoe had many emotional moments as she reflected on their relationship, and teared up as she recalled the last time she saw Billy, who took his life last year after struggling with depression. “He called me and as I turned round, his little face was there and at that moment, my heart exploded with all this love,” she said. “I thought to myself, whatever it is that we have to do, I love him so much, we will get through this somehow. “It was just that moment, that feeling of oh my god, I love him so much, we’ll find some help, it will be OK. And I wish I’d told him that. 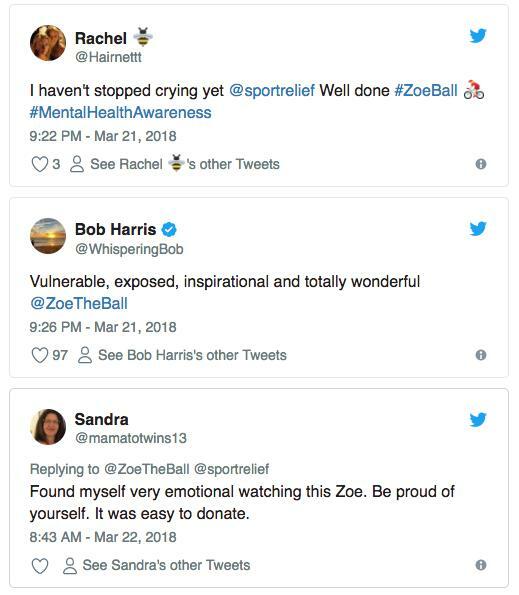 After the show aired, Zoe said she was “truly overwhelmed” by the response as she thanked people for sharing their own stories and donating to the cause, urging them to continue doing so. 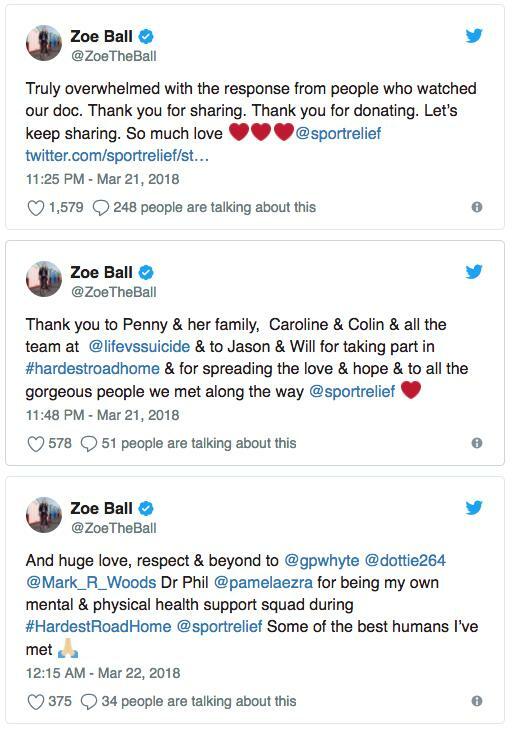 So far, Zoe has raised over £500,000 for Sport Relief, with that total expected to rise even further over the coming days. Zoe began dating Billy last year following her split from husband Norman Cook, aka DJ Fatboy Slim, and vowed to do something in his memory after his suicide. You can still donate to Sport Relief here, with this year’s telethon airing on Friday at 7pm on BBC One.